A weakening ringgit and slowing economy in Malaysia would not be beneficial to Singapore, said Foreign Affairs Minister K Shanmugam at a forum organised by the Singapore Press Club. Singaporeans may think the weakening of the Malaysian currency to the point that S$1 is equivalent to RM3 is a good thing, when they go on a shopping trip across the Causeway, Mr Shanmugam said. 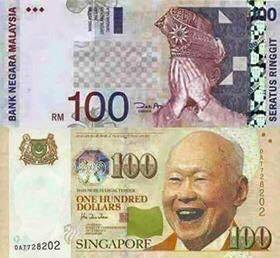 However, in reality, there could be implications to the weak ringgit, given Singapore’s economic links with Malaysia. “We are the biggest investor in Iskandar Malaysia, so any trouble there is serious issue for us,” he said at the “Small state diplomacy: Challenges and opportunity for Singapore” forum.